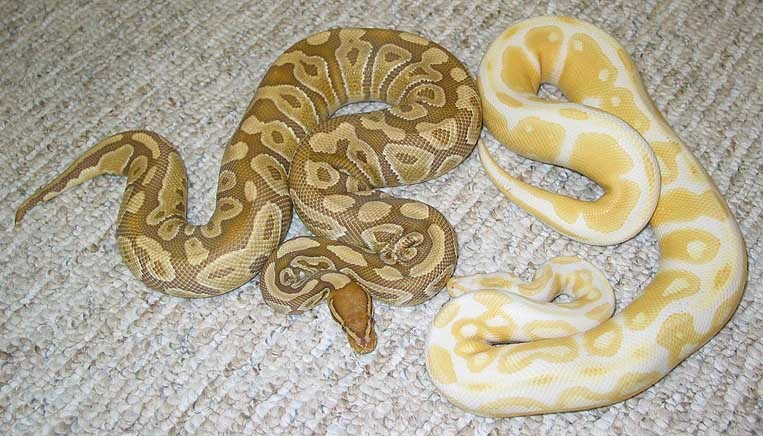 When you think of “Albino” you think of the classic Orange, Yellow and White albinos. Normal Albinos (T-) wipe out all of the Tyrosinase were as the Caramel Albinos (T+) allow some of the Tyrosinase enzyme to be processed creating the Caramel appearance. The only characteristic the Caramel Albino share with the “regular” Albino is the red irises. 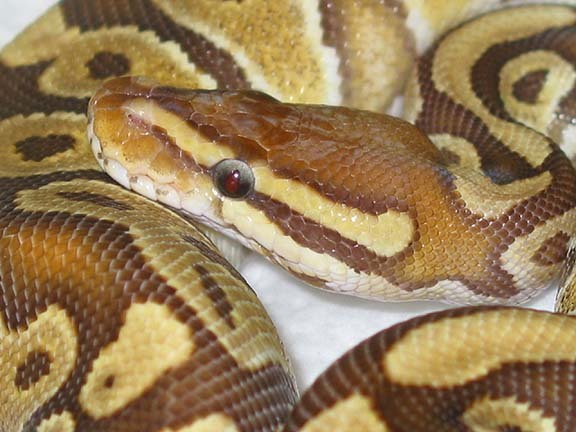 Caramel Albinos have been around since the mid 90’s, however, they are still rare in most collections. I purchased my first het Caramels in 1998 and in 2002 I produced a regular (T-) Albino which was totally unexpected. I have since outsourced different hets as well as a Caramel female in hopes of eventually producing Caramel Albinos. 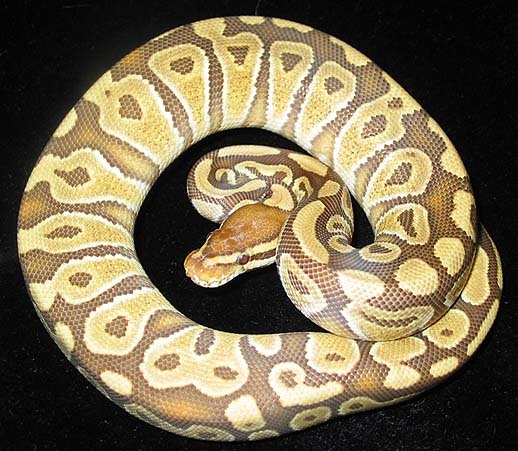 Hopefully this year (2005) I will produce a Caramel Albino from my original het female bred to a Pastel 100% het Caramel male. If not this will mean I haven’t been able to produce Caramels from het to het breeding out of 16 eggs. The odds of producing Caramels from het to het are 1 out of 4. 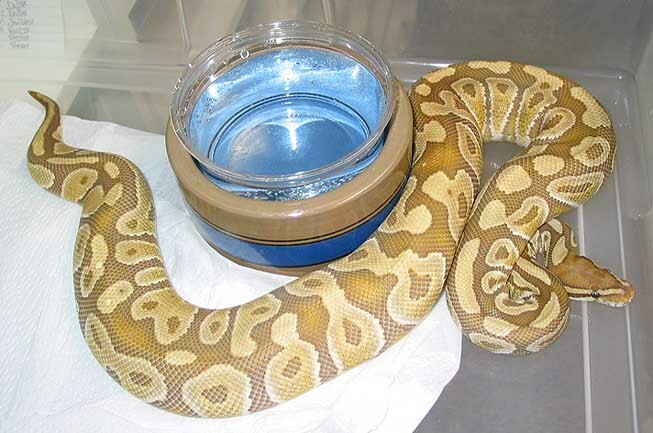 Update: As of March 2006 I have yet to produce a Caramel Albino.